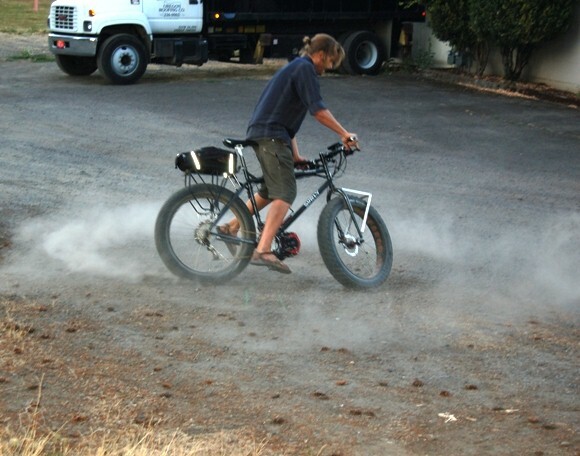 Jesse Swing, the owner of Solar Sprouts, describes why he chose EcoSpeed as his electric motor system for his Surly Moonlander fat bike. Jesse is one of EcoSpeed’s newest dealer and currently operates his solar installation and sustainability business in Bend, Oregon. He is available for test rides for those who want to see what an EcoSpeed system can do off-road and even in the sand or snow, no-go zones for most bikes. We are really glad to have Solar Sprouts and Jesse on board and look forward to following and sharing his adventures with you as he plans a completely solar powered ebike trip from the USA to South America in 2013. For more information about Jesse or to schedule a test ride visit Solar Sprouts.